All POLi payments are subject to the minimum and maximum deposit limits as per the individual terms and conditions of each betting site. 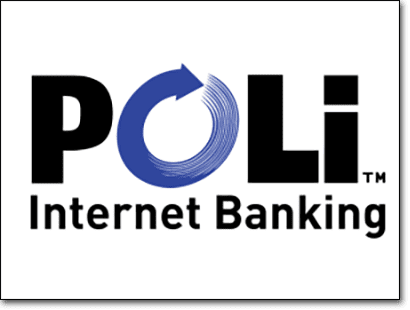 POLi payments are protected by a minimum of 128 Bit SSL (Secure Socket Layer) encryption technology, along with the extra layer of security provided by Internet banking, making POLi payments safe and trustworthy. Australians can quickly and easily fund their bookmakers accounts with POLi payment processing. To fund your online sports betting account using POLi, you will also need to have a registered account with an online bookmaker. Follow our links to sign up for an account with one of our recommended bookmakers. If you’re familiar with using your Internet banking account to pay bills or transfer money online, POLi is arguably the easiest, safest payment method you can choose as explained below. Head to the deposits section at your chosen bookmaker site. Select POLi from the list of verified payment options. Enter the amount of AUD you wish to deposit. Select your bank from the list of supported Australian financial institutions. You’ll be redirected to your Internet banking account where you need to log in to your bank as you normally would. The bookie payment details will automatically come up, just confirm the payment and follow the prompts to complete the transaction. Funds will be transferred instantly to your online bookmaker account, ready to be wagered on your chosen sporting event. Despite a majority of the leading online betting sites accepting POLi payments, it’s rare that you’ll find one that offers withdrawals using POLi. The most common withdrawal method at a bookmaker site is EFT transfer or direct bank deposit, which means that your winnings can go straight back into the bank account that you made your POLi deposit from. Alternative withdrawal methods may include Visa, MasterCard, Neteller, Skrill, iDebit, Entropay and PayPal. POLi does not charge customers for payments made over the POLi system, while also strongly urging all Australian banks and merchants not to impose any surcharge fees on POLi transactions. This makes POLi free to use, with no additional fees on top of your payments to online bookmakers. POLi Payments Pty Ltd was founded in Melbourne in 2006, originally operating under the name Centricom. The company has since been acquired by SecurePay Holdings, a subsidiary owned by Australia Post, which has led to the fast expansion of the POLi brand. POLi has gained such a trusted reputation in its short time that it is now favoured by such large merchants as Qantas, Jetstar, Virgin Australia, Air New Zealand, Air Asia and Etihad Airways, along with leading sports betting sites. Why should I use POLi for bookmaker deposits? POLi is an Australian service, so it’s always great to support Aussie businesses. POLi is free to use, with no transaction fees on your bookie deposits. POLi is safe, providing an extra layer of security, with none of your personal information stored on the POLi system. POLi payments are deducted from your bank account, so you can keep your credit card details offline or pay without having access to a credit card. POLi auto-fills all payment details on your behalf, so making a deposit is fast and easy. 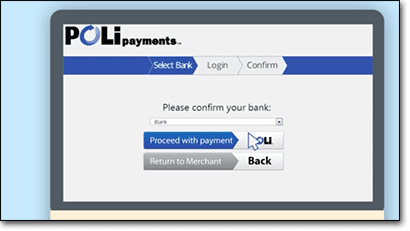 POLi provides an instant receipt of your payment for your records. POLi has no sign-up required, so that’s one less password you need to remember.